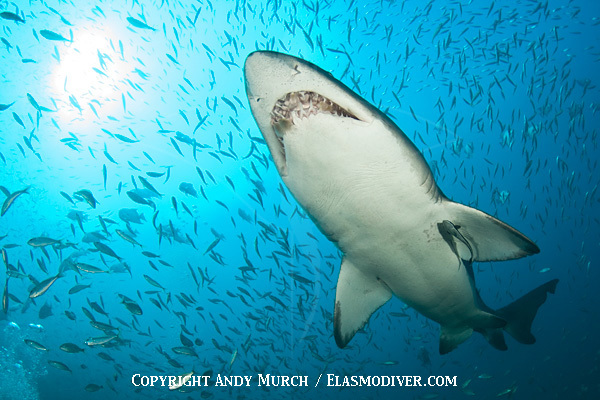 Sharkfest - a mini film festival and long weekend of shark diving for shark junkies. 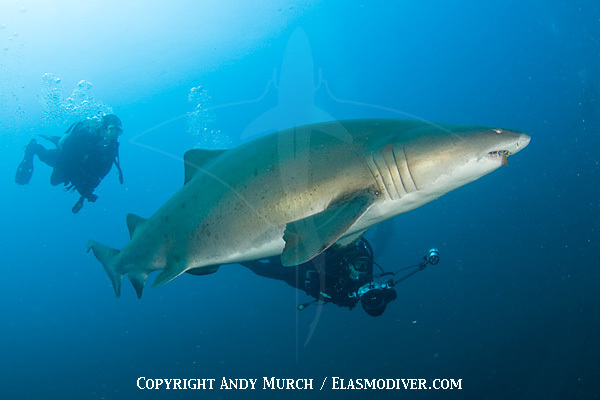 Come diving with Sandtigers at Sharkfest! Sharkfest is a celebration for shark people comprising of three days of shark diving and a film festival just about sharks. This isn't Sundance so leave the tuxedos at home. Movies will be screened on a digital projector in the lodge or outdoors on the back deck of the dive center (weather permitting). 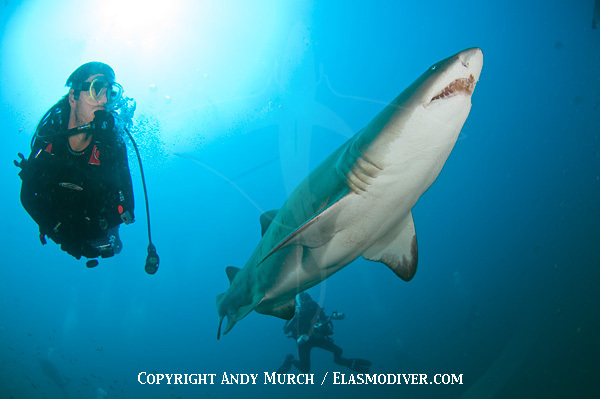 Sharkfest is an opportunity for all shark fans and shark divers to get together, dive and talk about sharks. 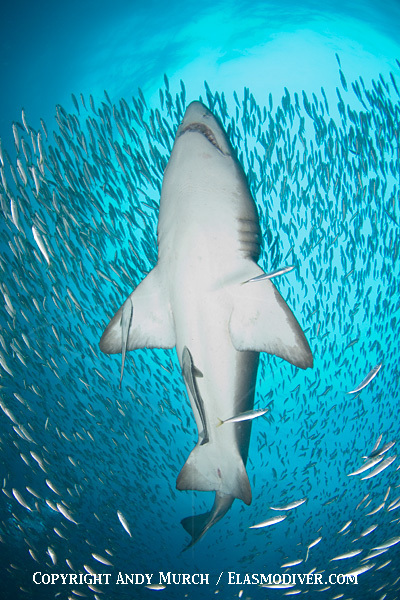 If you're a shark junkie you belong at Sharkfest. We arrive and take oer the lodge on the 9th of August. Dive days are August 10-12. Depart on the 13th. Where and when is Sharkfest? 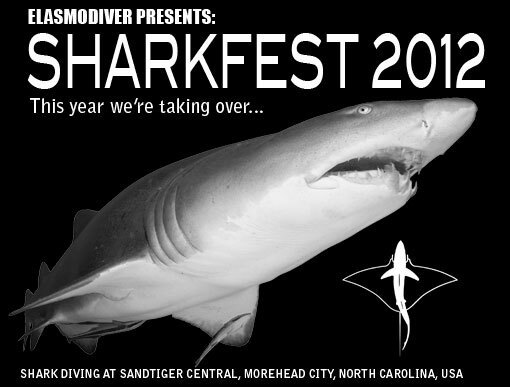 Sharkfest will be hosted by Olympus Dive Center in Moorhead City, North Carolina from the 5th to the 7th of August 2011. Olympus Diver Center is Sandtiger Central. 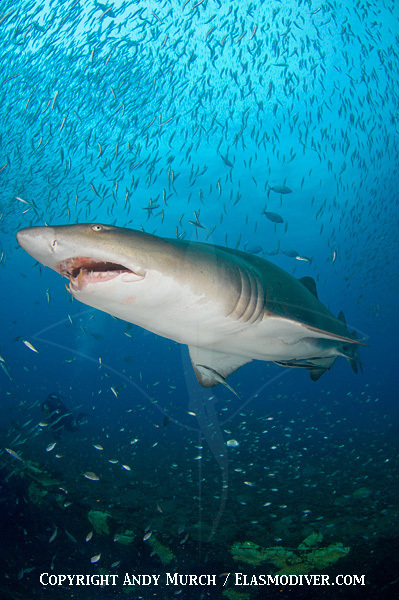 Known as the Graveyard of the Atlantic, the treacherous coastline of the Outer Banks is peppered with wrecks that are home to North America's largest population of sandtiger sharks. 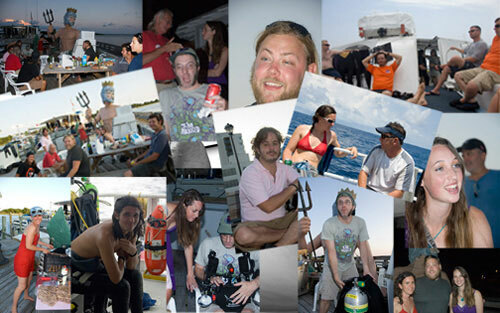 -Three days of shark diving (weather dependent). Dive equipment rentals and Nitrox fills (if desired) are extra. -Three nights accommodation in Olympus Dive Center's lodge which is a two minute walk from the boat dock. This is dormitory style accommodation. Its not the Ritz but its clean and tidy and the atmosphere is fun. -Two nights of movie screenings. -A barbeque on Sunday night including some 'refreshements' while they last. THURSDAY NIGHT: Arrive in Moorhead City and take over the lodge. FRIDAY MORNING: We'll be heading out early on our first day of Shark Diving with North Carolina's big, bautiful sandtiger sharks. Our destination will be determined by reports of where the best shark activity has been. The wrecks are a long way off shore so expect to be out until about 3 or 4pm. FRIDAY NIGHT: Nothing official, join the group at a local restaurant (not included) or kick back at the lodge. After dinner we'll throw on a couple of full length shark films that you probably haven't seen. SATURDAY MORNING: Second day of shark diving. Destinations determined in the same way as day one. 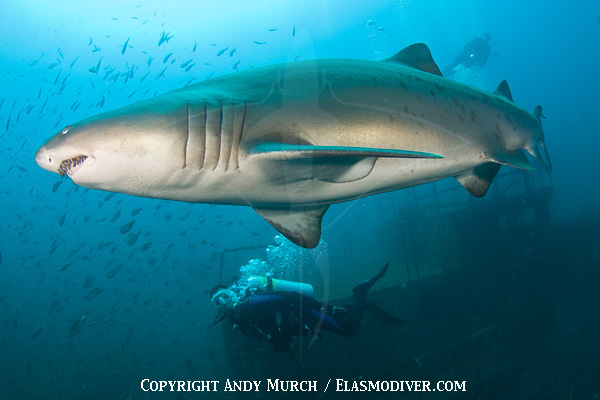 If the sharks are really thick on one wreck we may spend the entire weekend there. It isn't about the wrecks, this is our chance to get up close and personal with some of the most charismatic sharks in the ocean. SATURDAY NIGHT: The big movie screening night. We'll be viewing short movie entries on a projector in the lounge of the lodge. Based on the calibre of some of last year's entries it should be a fascinating show. SUNDAY MORNING: Last chance to get some killer shots of the sandtigers. 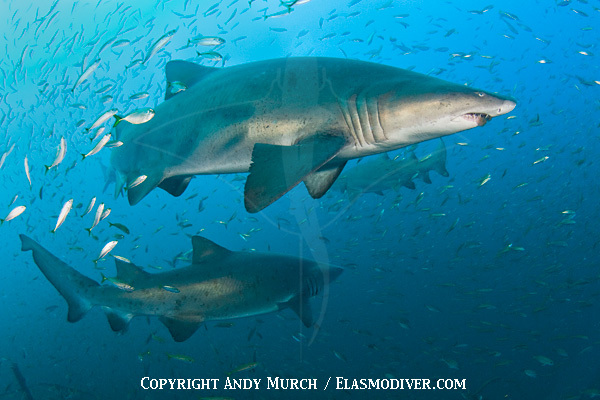 There will be prizes for the best shark image taken over the weekend. SUNDAY NIGHT: Our BBQ bash on the deck of Olympus' Dive Lodge. We'll be providing all the food you can handle plus some refreshments so stay if you can. We have 18 places for divers on the boat. Anyone who can't make it for the diving but wants to show up and celebrate Sharkfest with us in the evenings is very welcome. The more shark people we have the more fun it will be. If you're diving in the area with another operator you're more than welcome to join us for the barbeque or to watch the films as long as you chip in. The boat is filling up! So please respond asap so that we can make this the best shark diving weekend possible. Film makers are welcome to submit short films up to 22 minutes long. Screening times are limited so depending on the amount of submissions some films may be rejected but this is a very new festival within a very small niche so we do not expect this to happen. 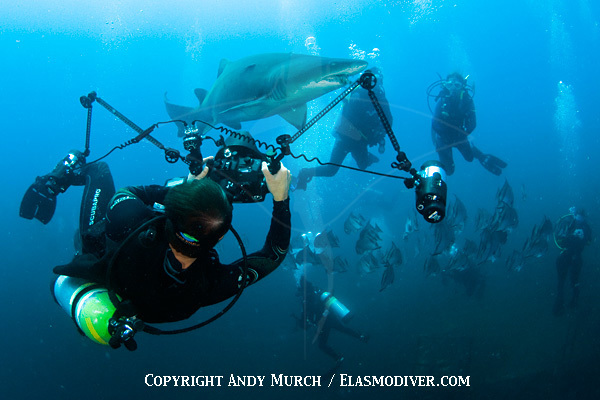 In the next few years we hope to build Sharkfest into a major event on every shark enthusiast's calendar but right now Sharkfest is an informal celebration of sharks including diving, screenings and good times. Screenings may be a little chaotic so please understand that Sharkfest is more about participation than official accolades. Film submissions will be reviewed on Elasmodiver after the event. Submission is FREE and is open to professional film makers and amateurs alike. All films must be about sharks. 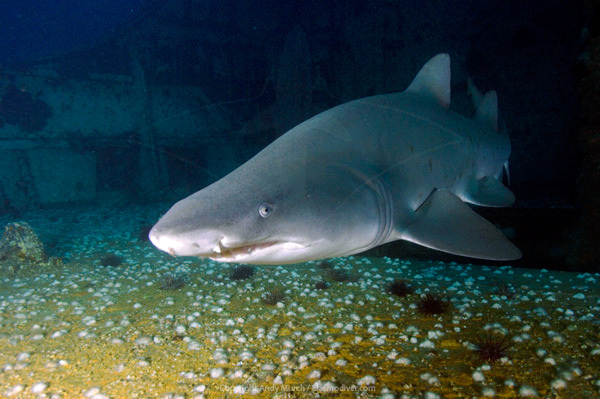 They can revolve around shark conservation, shark diving, shark biology and behavior or any other sharky topics. Fictional shark movies are also welcome. The theme 'you should be scared of sharks because they are bloodthirsty man eating monsters' is highly discouraged. 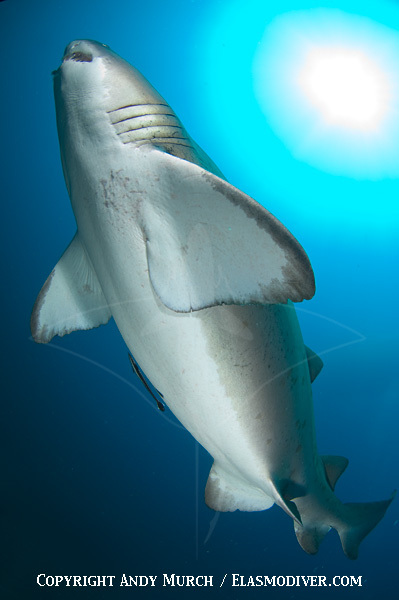 Shark-fishing films will be rejected unless they are about conservation. Film Makers are not required to be present to take part.